Have you ever had a carrier tell you that they were running late to their delivery appointment – after the appointment time had already passed? It leaves you wondering how long before the appointment they knew that they were behind schedule. Have you ever seen available delivery appointment slots fill up for days within minutes? Rescheduling for the next available appointment at the last minute can often make a shipment that was hours late actually many days late due to lack of availability. We know that every moment counts in your supply chain – both in terms of transit time and scheduling time. Just making it to the pick-up appointment on-time is not enough. If the loading facility is running behind schedule, then the truck experiences a non-preventable delay. However, not all shippers utilize drop dead departure time alerts that predict if a shipment will be late before it has even started moving. Yet, that is exactly the time that all interested parties need to be aware of a potential delay – at the moment that it occurs rather than hours later or the next day. Real-time predictive alerts prevent the compounding of problems from non-preventable delays. Buyers can be informed days ahead of time to communicate with their sites; team service representatives have ample time to change dates; receivers can get shipments on their schedule or on a different shift before inbound capacity fills up. Sometimes all it takes is simple delay communication with the destination site ahead of time to build enough good will that they find a way to work the shipment in upon arrival. 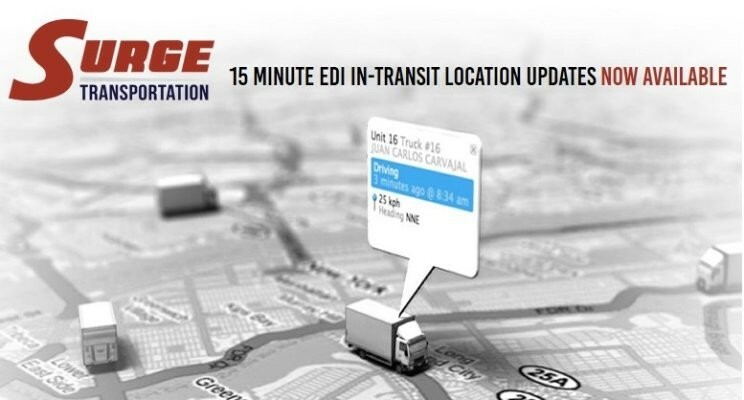 Wherever you are in the supply chain, real-time is the new on-time. Predictive analytics will be the new KPI, so expect to see this as a gate keeping requirement for new business development moving forward.